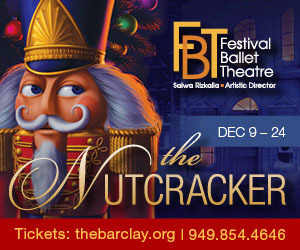 San Pedro City Ballet, home of American Ballet Theatre superstar Misty Copeland, presents its 24th annual production of The Nutcracker, with artistic direction by Cynthia and Patrick David Bradley. Join Clara on a dreamlike journey with a dancing Nutcracker, mischievous mice, sparkling snowflakes, and a magical Christmas tree. The performance will take place at the historic Warner Grand Theatre in San Pedro on Saturday, December 9 and Sunday, December 10. 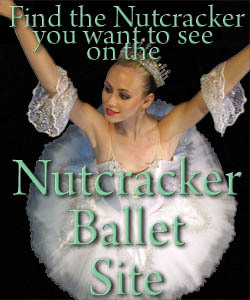 The show features dance, magic, gorgeous sets and costumes, and is fun for the whole family. Don't miss this magical holiday tradition! Saturday, December 9 @ 2:00 p.m. and 7:00 p.m.
Sunday, December 10 @ 2:00 p.m.
Tickets are available online, or at the door at the time of the show.